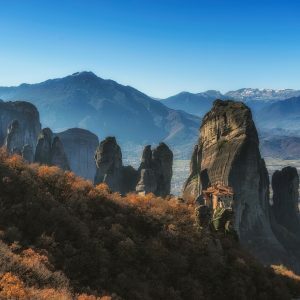 Kastraki is a village located at the western part of Meteora in Greece, amphitheatrically built among high rocks, while its history travels back in time, It is a department of the municipality of Kalambaka and it is the most touristically developed village of the Prefecture of Trikala. The old settlement of Kastraki, Mesochori, is the core of the wider settlement. It is of great architectural interest and a pole of natural beauty. The preservation of the old urban design in Mesochori helps to draw up to memory the historicalness of the area and the authentic atmosphere of the old quarters. 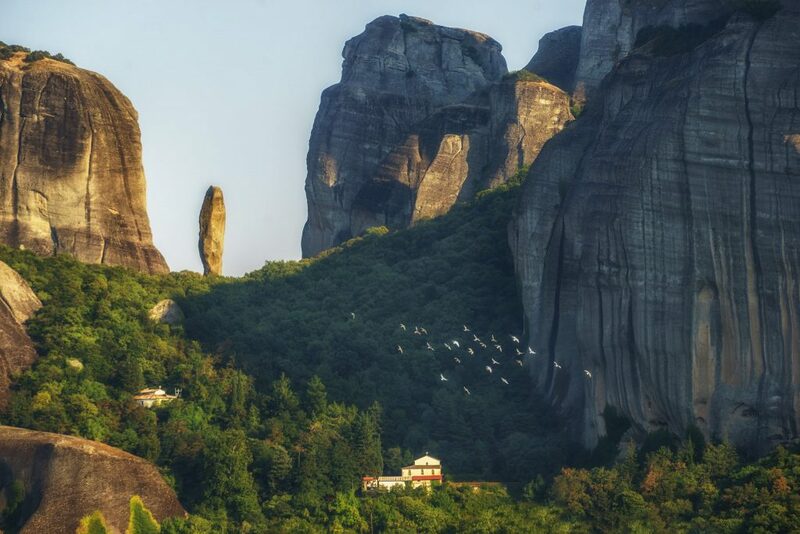 You can also photograph the old houses and some abandoned manor houses and the rocks of Meteora from many diferent perspectives. 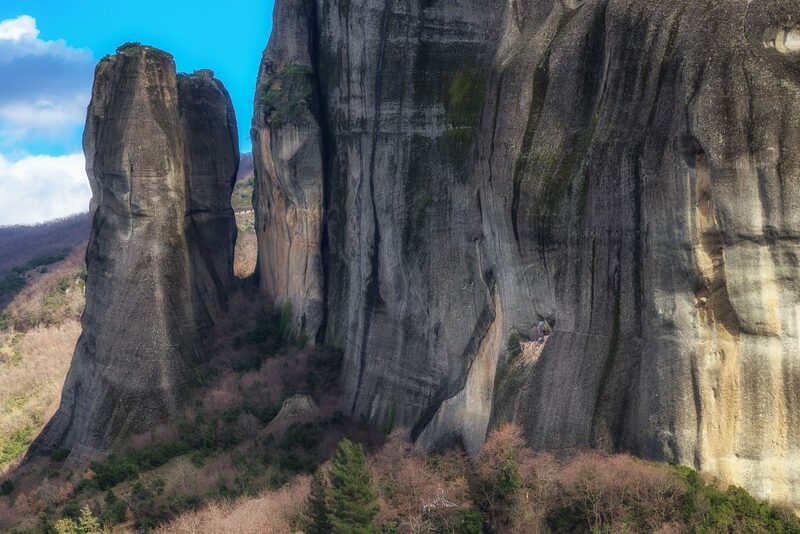 Our Meteora Photo Tours provide the most iconic spots of the Old Village of Kastraki. 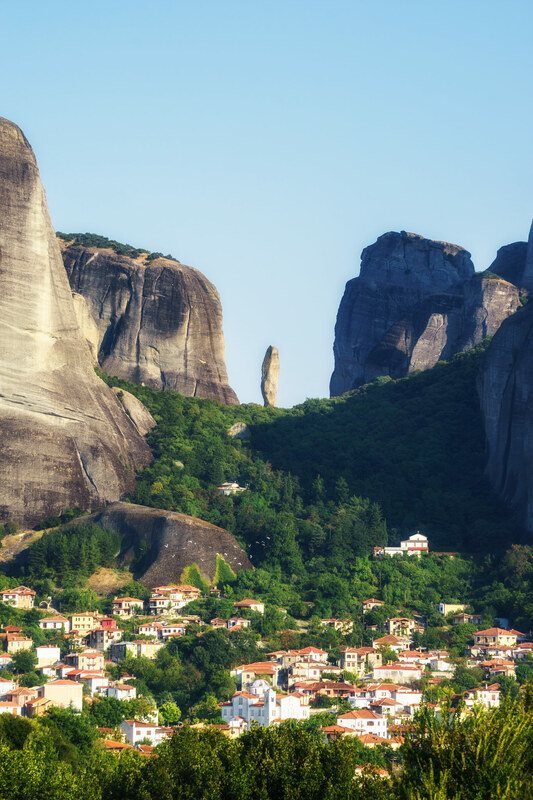 Walking through the paths of this village, one notices the green roots of Meteora rocks and the local flora. Kastraki is mainly the starting place for the climbers who come from various places of the planet in order to admire the beautiful scenery that the very high rocks create.During our Meteora Photo Tours ,we focus on climbers ,as they are climb on the huge rocks of Meteora and if ti’s possible and near to us we photograph them. Another beautiful sight is “Adrahti”. 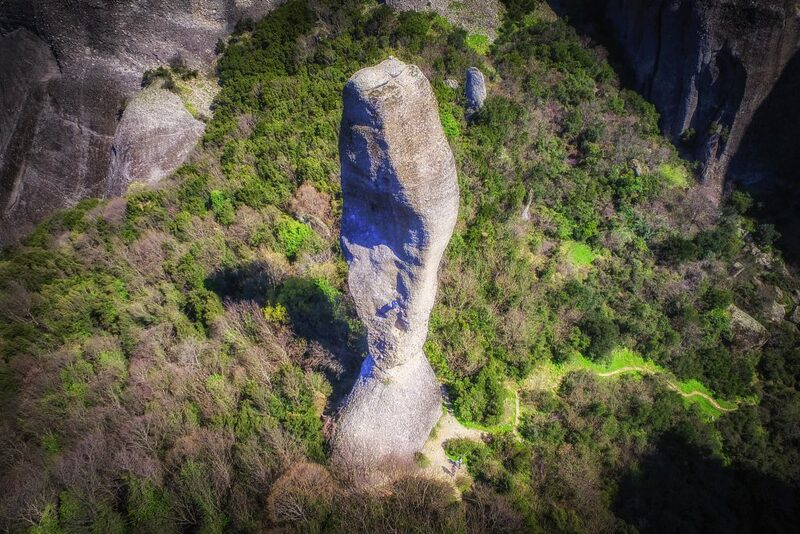 It is a small but impressive rock because of its form and supporting position, is located even higher. 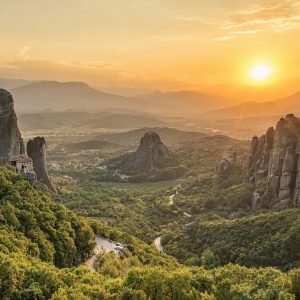 In Meteora Photo Tours, we are choosing ideal hours with the best light to photograph the Rock of Adrachti from many diferents spots. 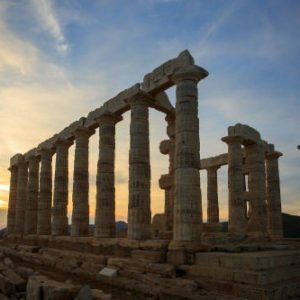 Kastraki has also a great deal of traditions which consist of the old vocal songs, dances and religious ceremonies and traditional tavernas with traditional Greek food. A well known is the climbing and hanging of a little scarf, on Saint George (Ai Giorgis). On the side of the Holy Spirit that faces Kastraki, in a cavity in the middle of the perfectly cut, with a knife as if, there is the old cloister of St. George. Now a few ruins are preserved and a rock painting of Pantokrator stands out. Tradition wants a Turk who cut woods to be devastated by a trunk and endangering his life. His wife hurried to dedicate to the Saints the Muslim scarf. And so Ai-Giorgis became Mandilas. 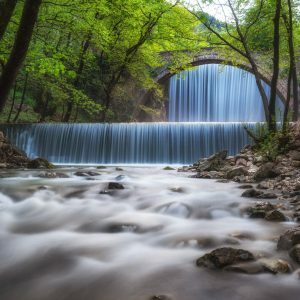 The village of Kastraki has been classified as a traditional resort under preservation, for three consecutive times by the Greek State, following a Presidential Decree. Kastraki means “small castle” and it’s one of the most picturesque landscapes near Kalambaka. 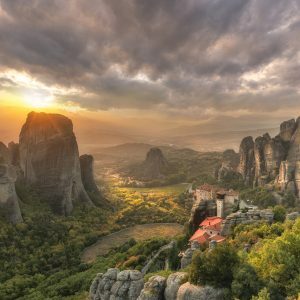 As we start our Photo Tours from the village of Kastraki to the top of the rocks , we are visiting a lot of spots to photograph the landscape witch compines the eternal Rocks of Meteora and the white houses with red roofs of Kastraki village. The best tour that I have ever been on!